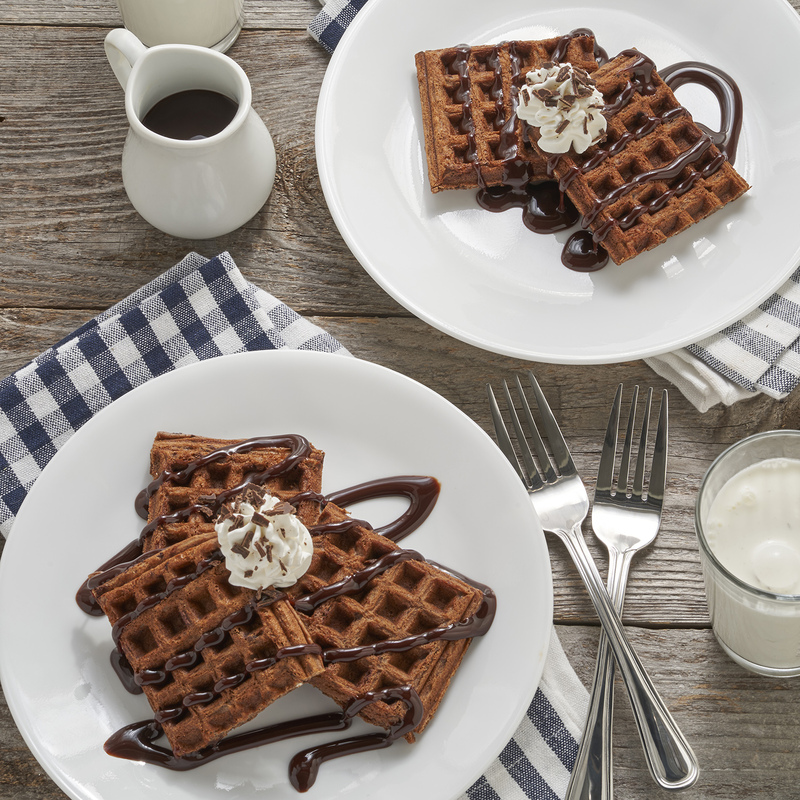 Make waffles even tastier with cocoa powder and dark chocolate. This fun treat makes breakfast feel more like dessert when topped with whipped cream, chocolate syrup and a cherry. In a large bowl, stir together waffle mix, cocoa powder and sugar. Add milk, eggs, vanilla and oil or butter, and stir until combined. Chop 1 chocolate bar, then fold into waffle mixture. Heat waffle iron. Pour mixture into waffle iron, filling to edges. Cook until waffle is set in the center and slightly crisp on the edges. Top each waffle with whipped cream, chocolate syrup, remaining chopped chocolate and a maraschino cherry.